For nearly a century the two most powerful nations on earth, Victorian Britain and Tsarist Russia, fought a secret war in the lonely passes and deserts of Central Asia. Those engaged in this shadowy struggle called it "The Great Game," a phrase immortalized by Kipling. When play first began, the two rival empires lay nearly 2,000 miles apart. By the end, some Russian outposts were within 20 miles of India. This classic book tells the story of the Great Game through the exploits of the young officers, both British and Russian, who risked their lives playing it. Disguised as holy men or native horse-traders, they mapped secret passes, gathered intelligence, and sought the allegiance of powerful khans. Some never returned. 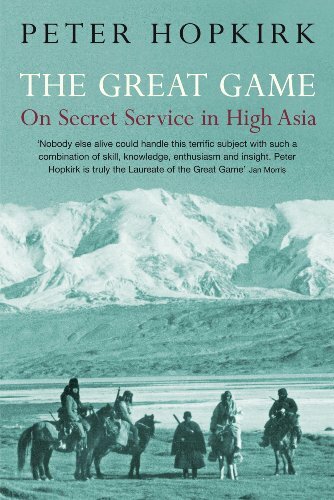 The violent repercussions of the Great Game are still convulsing Central Asia today.